I hope you all had a great weekend! I know some of you in the mid-west got some snow! I hope it was enough to enjoy and not too much to shovel. We had some light flurries here in Connecticut on Friday, nothing too serious, and a lot of rain pretty much the entire weekend, which is why I wasn't able to take any outfit photos for today and Wednesday's post. 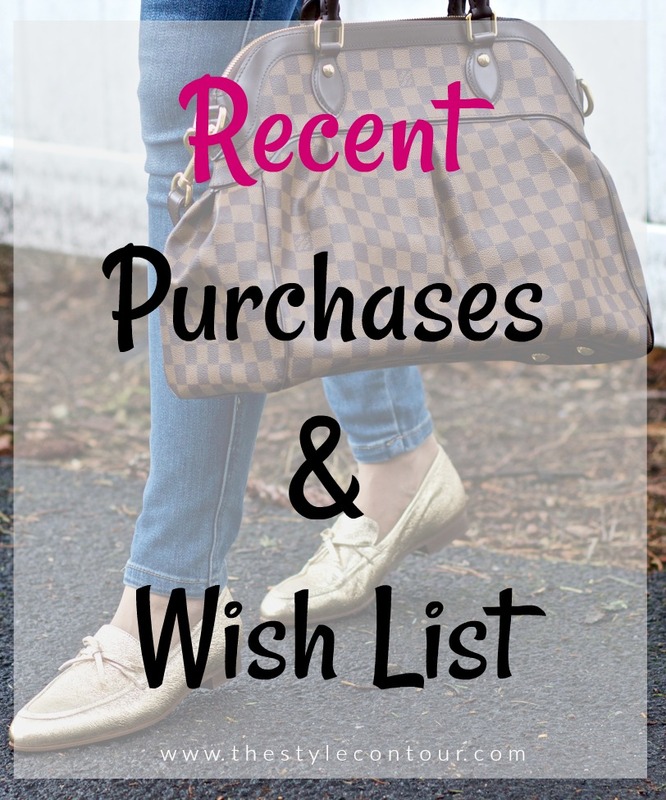 Since I've been doing some online shopping these past few days, I figured it would be a good idea to share some of the things I've ordered and some things I've been eyeing, in case you plan on doing some shopping yourselves and want some inspiration. Most of the things I've purchased and are eyeing is from H&M and I ordered one of the white mules I featured in Friday's post, number 6. 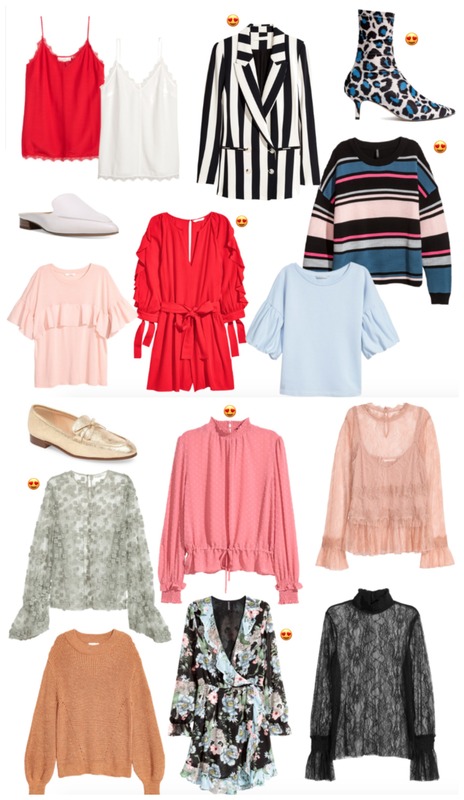 As much as I wanted to get everything that made my eyes look like the heart eyed emoji, I know my wallet would tightly close on me, so I got what I knew I'd get the absolute most wear out of for the start of spring and into summer. On that note, the pieces with the heart eyed emoji are the ones on my wish list, everything else is what I purchased. The reason I've been doing some shopping lately is because I did a huge closet purge at the start of the year, which I typically do every new year. This year was different though and I think it's because my style has been changing a bit ever since I've had Aviah and as I'm getting closer to turning the big 3-0 in September. Though I still love bold colors and patterns, my approach to styling them is a bit different now. It amazes me how I have a different perspective on some of my beloved pieces that I've had for years has changed. I've worn them in ways I never had before and it often has me thinking, "why hadn't I thought to wear it like this before?" Has your style changed as a result of age or becoming a mother if you are? I'm curious to know! Thanks so much for stopping by my dear friends and I hope you have the most amazing week ahead!